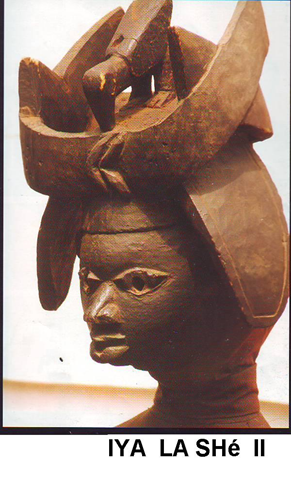 Benin is a West African country with a strong craft tradition. In the past, craft guilds specialising in brass, ivory, wood, embroidery and leather resided in palace of the Oba (king). They mingled with the leopard hunters, astrologers, drummers, chiefs and priests. 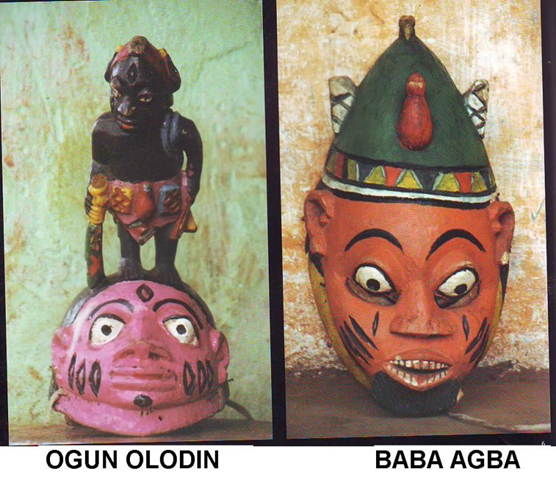 Unlike other courtly crafts in Africa, their traditions thrive, particularly in the production of dramatic Gelede masks. 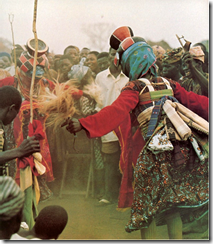 One of the most important festivals in Benin is the Gelede, which honours female elders. 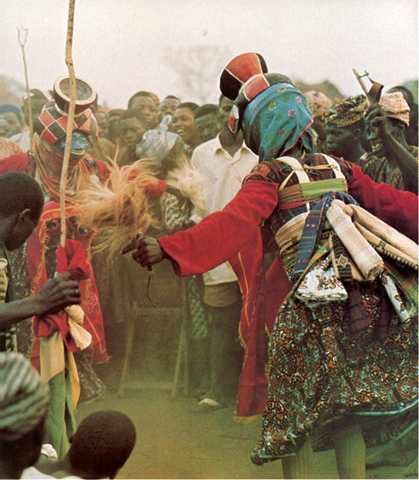 Key to this festival is a dance with a costume that consists of a mask (aworan), headwrap (oja) and leg rattles (iku) which protect their wearer against aje. 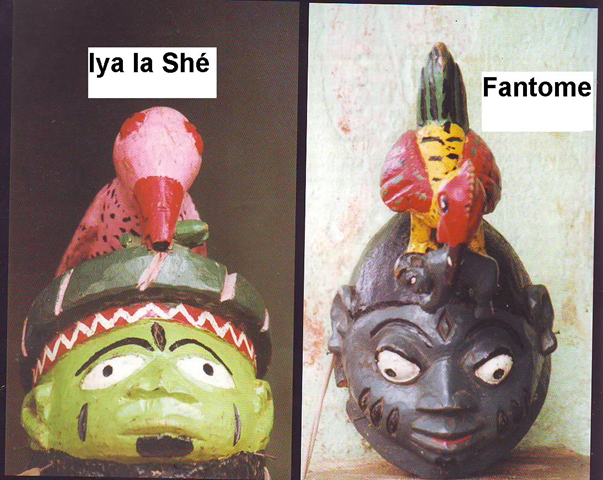 In this festival a mask is worn by men masquerading as women in order to please the mothers, particularly the destructive aje who otherwise might use witchcraft against them. It is seen to have developed in the late eighteenth century in the transition from matriarchal to patriarchal society. The masks represent ‘children’ of the mothers and so reflect the diversity of the world. Sometimes masks satirise foreigners, exaggerating their facial features. 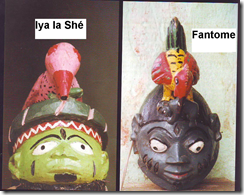 Gelede masks are still made in southern Benin. They are exported to Cuba and Brazil in particular. 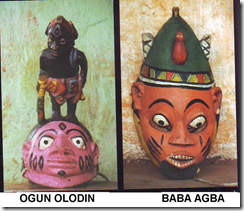 Apart from curios, it is interesting to consider what possibilities these masks might have. Can their makers be commissioned to use masks as statements about the world at large? Thanks to Martin Tonoukon for images. Hi- I have a mask I got while visiting Benin. Would you tell me what kind of mask I send you a picture.